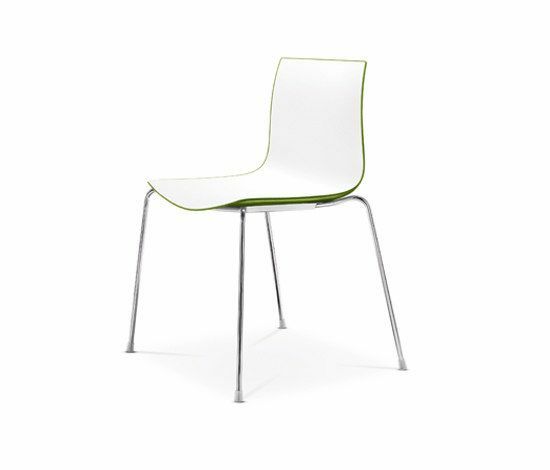 Chair with four-leg frame, available in the chromed steel and in the brushed or painted stainless steel version. The shell is available in single-colour polypropylene, bi-colour polypropylene or upholstered in hard leather grade 1 or hard leather grade 2. Avalilable polypropylene and steel armrests, also upholstered.